Eric created this unique functional art piece for his cousin's wedding. 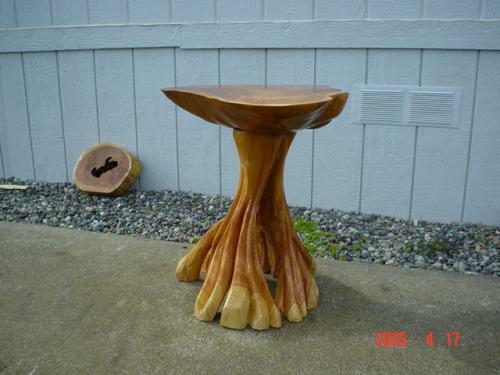 The table portion is from a burl that he shaped and sanded smooth and the base is from Washington Red Cedar that he sculpted to resemble tree roots. The burl table is definitely a one-of-a-kind chainsaw carved art sculpture and brings joy to all who view it.